While choosing a transducer for any application the input, transfer and output characteristics of transducers have to be taken into account. The foremost consideration for the choice of a transducer is the input quantity it is going to measure and its operating range. The type of input, which can be any physical quantity, is generally determined in advance. A physical quantity may be measured by the use of a number of transducer. However, the choice of a particular transducer that is selected for the purpose, depends upon the useful range of input quantity over which the transducer can be used. The operating range of the transducer may be a decisive factor in the selection of a transducer for a particular application. The upper limit is decided by the transducer capabilities while the lower limit of the range is normally determined by the transducer error or by the unavoidable noise originating in the transducer. In fact, the transducer should maintain a good resolution throughout its operating range. 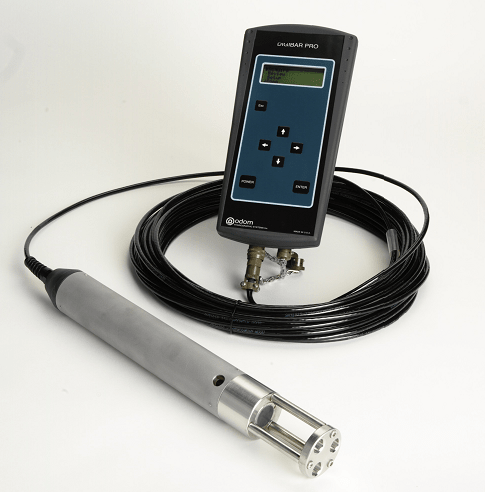 Ideally, a transducer should have no loading on the input quantity being measured. In theory, it is impossible, although in practice steps may be taken to reduce the loading effects to negligible proportions. The magnitude of the loading effects can be expressed in terms of force, power or energy extracted from the quantity under measurement for working of the transducers. Therefore, the transducer, that is selected for a particular application should ideally extract no force, power or energy from the quantity under measurement in order that the latter is measured accurately. response of transducer to environmental influences. between the input quantity and the output. where qo and qi, are respectively output and input of the transducer. In general, the sensitivity of transducers is not constant but is dependent upon the upon quantity qi. However, in some cases the relationship between the output qo, and input qi, is linear. Some manufacturers specify the scale factor and still call it sensitivity. The response of the transducer to environmental influences of great importance. This is often given insufficient attention when choosing the best transducer for a particular application. This gives rise to inaccurate results. The performance of the transducer if fully defined by its transfer function and errors provided that the transducer is in a constant environment and subject to any disturbances like stray electromagnetic field and electrostatic fields, mechanical shocks and vibration, temperature changes, pressure and humidity changes, change in supply voltages and improper mechanical mountings. If transducers are subjected to these environmental disturbances, precautions are taken, to get an error-free result. The types of output which may be available from the transducers may be a voltage, current, impedance or a time function of these amplitudes. These output quantities may or may not be acceptable to the latter stages of the instrumentation system. They may have to be manipulated i.e. their magnitudes changed or they may have to be changed in their format by signal conditioning equipment so as to make them drive the subsequent stages of the instrumentation system. The output impedance, Zo, of a transducer determines to the extent the subsequent stages of instrumentation is loaded. Ideally, the value of output impedance should be zero if no loading effects are there on the subsequent stage. However, the output impedance, Z0, cannot be made equal to zero and therefore, its value should be kept as low as possible to minimize the loading effects. The output impedance determines the amount of power that can be transferred to the succeeding stages of the instrumentation system for a given output signal level. If the output impedance is low compared to the forward impedance of the system, the transducer has the characteristics of a constant voltage source (provided the output of the transducer is a voltage), while in case the forward impedance is high as compared with the output impedance of transducer, it behaves as constant current source. When the output impedance of the transducer is equal to that of the following stages of the instrumentation system, matching takes place and the maximum power is transferred from the transducer to the succeeding stages. The output range of a transducer is limited at the lower end by noise signal which may shroud the desired input signal. The upper limit is set by the maximum input level. The output range can be increased, in some cases, by the inclusion of an amplifier in the transducer. However, the inclusion of an amplifier also increases the noise level and therefore in such situations, the amplifier may not be of any use at all. Thanks for reading about “characteristics of transducers”.